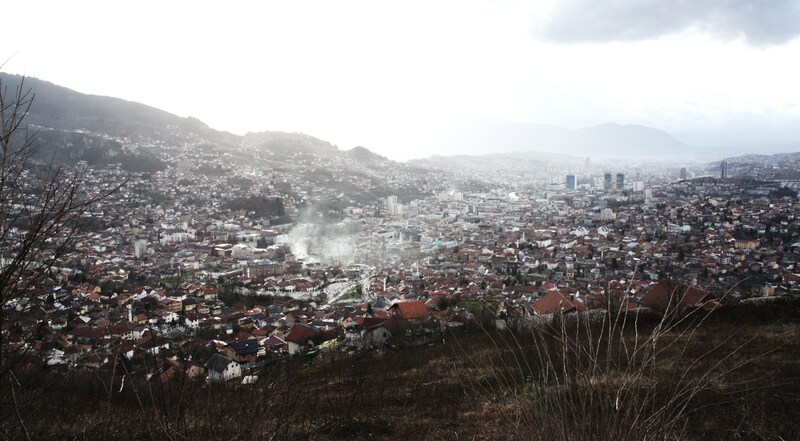 Bosnia: an End to the Storm? More than fifteen years after signing the Dayton Accord in Paris on 14 December 1995, the arrest of Ratko Mladić—responsible of the mass murder of almost 8,000 men in Srebrenica and of the longest siege of a capital city, Sarajevo, in the history of modern warfare—brings to justice Europe’s most wanted war crimes and genocide suspect and paves the way for a departure from this conflict-ridden past. But if Serbia is more and more a consolidated democracy, getting closer to the European Union, Bosnia and Herzegovina remains still tangled up in an interminable post-war transition. Crisis after crisis, and a bitter taste of déjà-vu, has punctuated the day-to-day existence of disillusioned citizens. Each time we are told to expect the worst, the relief that follows is, of course, as great as it is illusory. A new crisis is dawning for Bosnia. Let’s look a little more closely at the facts: there has been an absence of government at state level since the October 2010 elections; both the Bosnian Croat parties (HDZ, the Croatian Democratic Union, and HDZ 1990) and the Electoral Committee have contested the formation of the Muslim-Croat Federation government; a “Croat National Assembly” has been founded in Mostar; an Orthodox church began to be built steps away from the Potocari memorial commemorating the Srebrenica genocide; and finally there was the threat of a referendum in Republika Srpska which could have threatened the very achievements of international assistance in the State of Bosnia and Herzegovina. The question of the controversial referendum, voted by a majority of the Serb-Bosnian Parliament, prompted the Head of EU diplomacy, Catherine Ashton's trip to Banja Luka on 13th May. This was an attempt to mediate within a serious political crisis, triggered off by the decision by the Republika Srpska – the Serb Entity of Bosnia, linked to the Croat-Muslim Federation by weak central institutions - to call a referendum that threatens the unity of the State. Ashton's visit and her meeting with the Serb-Bosnian President, Milorad Dodik, had the desired effect. Milorad Dodik in fact declared that the referendum on Bosnia's central justice system, dreaded by the Euro-Atlantic world, will not be held. “I think that for the time being the referendum is not necessary”, Dodik said to the press in the capital of Republika Srpska. Dodik explained that Ashton reassured him that a reform of the central Bosnian justice system will start, which will take the Serb authorities' requests into account. These authorities in fact accuse the central system of a partial approach at the total expense of the Serbs, as it mainly deals with war crimes committed by the Serbs during the 1992-95 conflict. Dodik's turn about was confirmed by Ashton herself, who stated that the vote in Republika Srpska had been proposed in order to contest the authority of the country's Federal Penal Court, and the department for war crimes in particular, considered to be prejudiced aganist the Serbs. A certain agitation can be felt in Western capitals, with the EU dispatching—in extremis on 13 May 2011—Catherine Ashton to Banja Luka to convince the entity’s strong man Milorad Dodik to cancel the referendum. Though the EU’s top diplomat has much bigger fish to fry, she will be justly thanked for going to a Bosnian fiefdom in person to make a local politician with eyes bigger than his stomach see reason. As for the other issues, they’ll get by as best they can from day to day. Thus—on the surface—Bosnia seems to have wizard yet another onslaught on its state institution. But for how long? This kind of scenario is recurring too often, each time tiring apart more of the lose fabric of the country. Hence the need to examine the perverse logic behind it. These manoeuvres, which have the sole aim of destabilising the Bosnian State, are staple fare for the nationalists—mainly, but not exclusively, Serbian. Those nationalists are singing a swansong about this cursed country that we would surely be wrong to underestimate. Then comes the fact that Bosnian camps of all persuasions clearly have a vested interest in preserving the status quo and hindering the Union’s Europeanization process. The absence of any significant opposition movement is likewise disconcerting—far from it that the Arab Spring should come to stir up the banks of the Neretva. In the end, the halo of democracy doesn’t seem to be taking. But time is running out. Alongside this internal resistance, there is the awkwardness of the “international community”. With enough on its plate elsewhere, the US doesn’t look like it is about to draw the chestnuts from the fire. Since 2006, the Office of the High Representative (OHR) has been losing in efficacy and, above all, credibility. The Lisbon Treaty has yet to resolve any of the problems of governing a union that is still incapable of speaking with one voice. As for the EU’s new diplomatic service, it still needs to get its foot on the ground. Finally, we can only lament and deplore the absence of any convincing strategy for getting out of the Bosnian labyrinth with heads held high. Amid the repeated crises and the international community’s blunders, it hardly needs to be emphasised that all the processes for reform in Bosnia have been in reverse kier for a long time now. This situation can’t go on any longer. It is time to make choices and pass into action. First of all, the 1994 Washington Agreement governing the Federation of Bosnia and Herzegovina (the Muslim Croat entity) needs to be reworked. We have reached the point where we cannot avoid removing one of the three levels of territorial government so as to obtain a more rational institutional architecture that would make more room for local authorities. A regional regrouping of agglomerations should allow it to meet the demands of the Croats of Bosnia without there being any question of creating a third entity. It is a matter of putting a drifting ship back on course and stabilising the power play with the other political entity, Republika Srpska. Secondly, the OHR has run its course. The current crisis demonstrates that the coercive powers of the OHR (the so-called Bonn powers) can be replaced by the persuasive non-coercive means of the EU (soft power). The process by which the jurisdiction still held by the OHR is transferred to the Bosnian authorities needs to be finalised, and this should allow it to transform rapidly into a watchdog ensuring respect for the country’s sovereign integrity. At the same time, establishing a powerful EU mission with a clear mission and a comprehensive strategy is indispensable. Lastly, the review of the Dayton Accord will have to be tackled head on. It looks like the time has come to cast aside any fear of opening Pandora’s box so that we may draw from it the hope for a different kind of future for this country that is suffering from the aftermath of the war nearly as much as from the war itself. A ‘big bargain’ negotiation needs to be started on the central competences necessary for a State that aspires to becoming a fully-fledged member of the EU. Some say, this would never happen. But it did in the past: The historic 2002 Mrakovica-Sarajevo Agreement demonstrates that it is altogether possible to follow this path by involving Bosnian politicians in a process that this time will have the goal of going beyond the contradictions and shortcomings negotiated in 1995 in Dayton. Hence our proposal for a “conclave” under the auspices of the EU, with the local stakeholders—involving the guarantor states of the Dayton Accord (including Serbia and Croatia) and Turkey—where an agreed blueprint for the future of Bosnia and Herzegovina should be negotiated. Based on a review on those last fifteen years of Virtual Protectorate, the main stake will be a reconsideration of the share of jurisdiction across the different levels of State, entities, cantons and municipalities. From Banja Luka to Sarajevo, we all know where the red line is: neither full independence of the entities, nor a nation-state like centralisation can be entertained. Between these two extremes, the negotiations must have the goal of establishing a viable confederate system that takes its bearings from the pragmatic criteria and requirements for eventual EU membership of the State of Bosnia and Herzegovina. Between the advocates of interventionism, who think that only action from the international community can prevent Bosnia’s implosion, and those who, on the contrary, deem Bosnians to be the only ones who should be responsible for their future, we are convinced of the necessity of a middle path: one of shared responsibility, with a demanding partner who can go beyond the past errors and put the country on the road Brussels. Wolfgang Petritsch, former High Representative in Bosnia and Herzegovina (1999-2002), presently Ambassador of Austria at the Organization for Cooperation and Development (OCDE) in Paris. Christophe Solioz, Secretary General of the Centre for European Integration Strategies (CEIS) in Geneva.